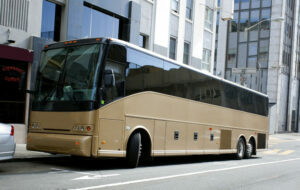 The 5 Bs: Etiquette Tips For Your First Charter Bus Trip - American Limousines, Inc. 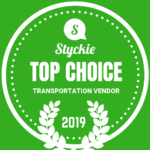 When evaluating potential ground transportation options for group travel, charter bus rentals can emerge as an excellent and affordable choice. Since a single motorcoach can provide approximately 16,500 trips, it’s a much-beloved way to see the sights. Whether you’re traveling only a short distance or several hours away, you’ll want to get the most out of your trip. After you’ve booked your reservation with one of the available bus companies in Baltimore, you’ll want to go over the following recommendations with your entire group. As long as you follow these etiquette tips, you’ll be sure to have a smooth and enjoyable ride. Be Punctual: An on-time arrival is a must when you’re traveling by charter bus. Since the bus cannot leave until all passengers are onboard, you’ll need to stress the importance of being prompt with every single member of the group. You may even want to tell notoriously late individuals that their arrival time is earlier than necessary, just to make sure your group is able to depart on time. Being punctual can get the trip started off on the right foot and will show your driver that you’re thankful for their hard work. Be Respectful: If you’re traveling with a group, you’ll no doubt enjoy each others’ company. It’s understandable that you’ll want to socialize and even entertain each other during the trip. But you should always be respectful of the personal space of others (including that of your driver) and follow all regulations that have been expressed to you. Always be polite to your driver and treat them with respect. In general, conduct yourself with decorum. Just because you’re on a vacation or an enjoyable trip doesn’t mean that manners have to go out the window. Be Quiet: It’s important to keep the volume to a reasonable level while onboard charter bus rentals. Not only will being noisy make the trip unbearable for some passengers, but it could also distract your driver. That doesn’t mean you have to stay silent during the trip, but it does mean you should use your “inside voice” at all times and lower the volume on your phone, laptop, or tablet so that it won’t disturb others around you. Be Considerate: Most passengers enjoy a snack or two when traveling on charter bus rentals. That’s part of the fun of a road trip, after all. But at the end of the journey, you should be sure to pick up your trash and throw it away. Keep all litter off the floor and promptly clean up any spills as best you can. You should also take care not to bother others who may be trying to sleep during the ride. In general, pick up after yourself and realize that you aren’t the only person on the bus. Everyone deserves to have an enjoyable trip — and your driver doesn’t deserve to deal with your garbage. Be Safe: Above all else, you should remain seated when the bus is in motion and keep all of your belongings (and your body) within your seating area at all times. That means you should keep movement to a minimum and stay out of the aisle. Adhere to all posted signs and always listen to your driver, as they have a responsibility to keep you out of harm’s way. Don’t view this as an opportunity to goof off or to do anything dangerous. You’re paying for the privilege of riding in style, but taking a safety risk could derail your entire trip. Before embarking on any charter bus rentals, make sure to review these tips with every member of your group. It may seem unnecessary, but making sure that everyone is on the same page is an effective way to ensure an enjoyable trip. To learn more about why we’re one of the bus companies Baltimore MD residents trust, contact us today.